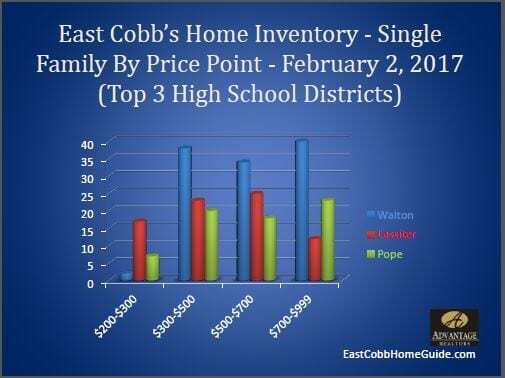 As the following slides show, East Cobb Home Inventory February 2017 in the top three high school districts, Walton, Lassiter, and Pope is low in many price ranges – this continues a trend that we have seen over the least several years. It means that buyers will have to compete hard for the best homes. This is a market when you want to hire the best local broker you can find – trying to be your own broker is never smart since buyer brokers are free, but in this market trying the DIY route is the best way to loose out on your dream home to a better equipped buyer – one who has expert representation. 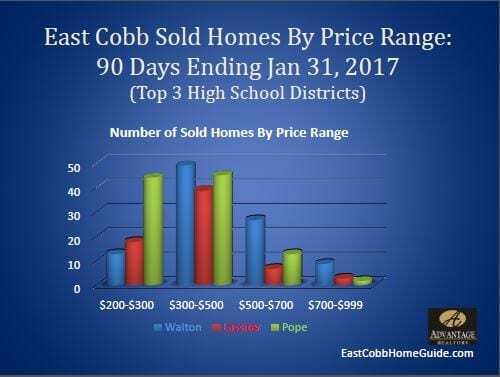 The data can also be used to help you determine the likelihood that you will be able to find a certain priced home in a particular school system – for example homes under $300K in the Walton High District are in very short supply – always. 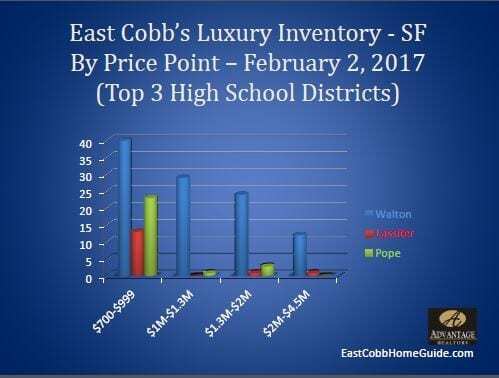 Also, while this graph doesn’t show it, New Construction Homes in the Walton High District are almost non existent under $700K+.